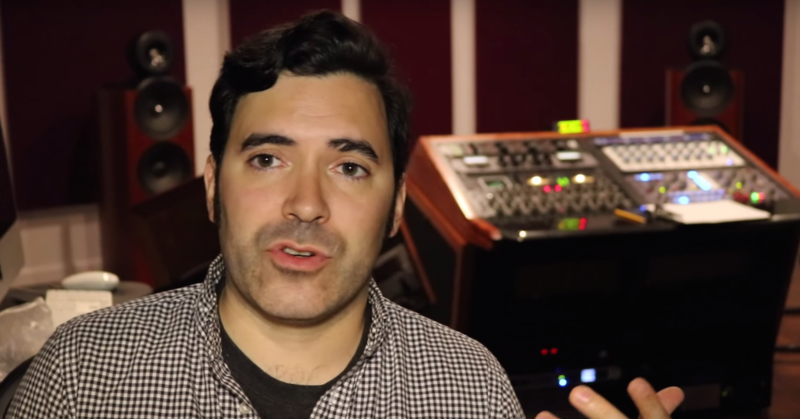 Matt: Hey guys, Matthew Weiss here — weiss-sound.com, theproaudiofiles.com, and advancedmixing.com. This interview is brought to us by Ariamastering.com. If you don’t know about that, then clearly you haven’t been checking out my Facebook feed, but I am joined today by the indelible Phil Tan. Incredible mix engineer. If you don’t know, you really should. Phil, how you doing, man? Phil: I’m great, thank you very much. How are you? Matt: I’m good. I just got back into Philly. Been out in LA for about a month, and now I’m back visiting family and my fiance and everything, so I’m about as good as I can get. Phil: Awesome, good to hear! Matt: Yeah. So are you working on anything cool currently? Phil: Several things actually. Little Mix — the UK group. Another singer/songwriter by the name of Callum Deedee. Little Mix is the more modern pop stuff, and Callum is more, you know, real instruments. Matt: Wait, people still use those? Real instruments? Do you find that stuff is a little more challenging or a little less challenging to mix? Or is it just completely different? And one of the songs actually, I actually went through three different mixes — mixing processes before I got to the one I was happy with. Matt: I want to reiterate for the people who are watching, because I do that too, actually. I’ll go through a mix, and if I don’t like it, I will flat out the whole thing, zero it, pull the cables, and I’ll start it again, and it usually goes faster the second time, because I have a much clearer idea of what I want, but I think it’s important to know, for those who are watching, that you’re not the only one out there! Anyone from me to people who have been working on incredible smash records for what, 30 years? 20 years? A long time. Since the 90’s. Phil: Yes, I’m old, yes. Matt: And it’s important too, because you know, when you’re taking on the kind of volume of work where it’s not uncommon to be mixing two records a day for a straight week or so, like, to pull a record down, and then have the dedication to the art of it to start it up again, and never phone it in. That’s why you’re the indelible Phil Tan. Matt: On that note, so when I’m mixing a record, a lot of the times, a lot of what I’m doing is really just connecting with the song and sort of giving myself over to the song itself. I know you’re very similar in that regard. The last one I’ll give you a quick example, because people watching will get a little bit from this, and then maybe you can give me an example. I was listening to a record, we got to the chorus, and then this piano part came in, and I didn’t feel like it had enough impact, so I grabbed a guitar, and I reinforced the chords, same chord structure, and I did it with Native Instruments Guitar Rig. Just DI into that and did a really spread out thing to help give it depth, size, punch, bigger sound, and so I was adding a guitar part, and this is a client I’ve done six records with him. All five, he has had fairly extensive revision notes. Came back with the e-mail, it said, “No revisions.” And on the one where I’m adding parts and stuff, and that’s always a risk. So share a story. You have anything like that recently? Then I’ll give them my two cents, and it’s just a collaborative process. You — at least, I hope it is. So, they — I have a high amount of respect for the people that have been creators of this song and of the material. Then that gives me a little bit more room. There was this one time I recorded — like I said, a session from a client. It was an 808, and it was a very prominent part. It was a bass line in the song. It just wasn’t quite cutting it. Like, it wasn’t — there was a certain graininess about it I didn’t like. So again, sometimes, it works out, sometimes, you know, you — you get a little too happy with yourself, and you overdo things, and you might want to tone that down, so. Matt: Right, absolutely. But it’s good though, it’s always good when we have these ideas, and they get it validated by the people, because it is. It’s exactly — the difference between doing it right and doing it wrong is exactly what you said, it’s starting with the respect for the creator, and so the way I always say it is I start from the assumption that the producer got it right and go from there. Matt: When you send a record off to a client, do you send off your mix version, or do you create something that could effectively be the final master? So if it went out the next day, that’s what they get? Phil: That also depends. Some clients, if it’s more Pop stuff, and more modern stuff, they tend to like it closer to finished than not, so you — and a lot of times, they also send you a rough. I usually ask for a rough anyway, because you know, sometimes your session comes from multiple places. Here’s the vocal producer, here’s the drum producer, here’s the end guy that did all the instruments, and they come from different places and not always — they don’t always talk to each other after the fact. So you know, I’ve had a song where the vocal producer actually changed the tempo and the key of the song without telling the original instrument producer. So if you — if they kind of — if they have a version that’s already pretty loud and kind of mastered, if you will, then you probably want to keep it pretty — kind of in that same vein. Unless they tell you specifically, “Yeah, Phil, don’t do any of the mastering stuff or the stereo buss stuff, just leave it the way you’d normally do it,” then I will take a rest. Because sometimes it’s actually harder to do a mix with all of that stuff on the master buss. Matt: Yeah. It kind of — it sort of leaves me in this weird spot, because sometimes, I’m thinking, “Well, maybe it’s better to give the client an idea of what a finished master would sound like,” because that’s different than the mix — or maybe it’s a little more honest to give somebody like, this is the actual mix, and how it’s going to sound when the mastering is — it could vary a lot, and I find people tend to — the only trend I could say is consistent, is that the more people that are involved, the more commonly I’m asked to present something that could effectively be a final master. Phil: Yes. That’s very true. Phil: But I also — in some cases, if I’m working with them for the first time, I send both versions. They hear the version that’s uncompressed, and this is the version that’s a little bit more treated. Then you can — you know, there’s times, and I know you work with Chris Athens, and I think if I am — if I recall correctly, one of the songs that he mastered, he mastered the first — not the first, but the Wiz Khalifa album. Matt: Black and yellow, black and yellow. I love that song. That was a great mix, by the way. Phil: Well, thank you. So there was one song where he told me that he didn’t think it was necessary to do anything to it, so he just kind of left it the way that it was. Which is great, but again, in that situation, I was fortunate to mix most of the album. But in some cases, I only do two or three, and it’s kind of like that with a lot of Pop productions, you know? You have multiple producers on an album, so they all have their choice of mixers they prefer to work with, and you don’t really ever know what the other guy is turning in. So I try to not handcuff the mastering engineer and give them both the versions — the one that they approve, and also one that is without all the stuff that’s added, so he has more room to be able to work with it. Matt: Yeah, I — definitely for whatever I’m sending over to Chris, I send — I used to send everything with a reference master, but I’ve worked with him so much, he’s my go-to guy. We’ve done something like probably 300 songs or more at this point. Matt: So I don’t even need to send — he knows exactly what I want. Phil: Yeah, it’s great to find someone that you have that kind of working relationship with. Matt: Yeah, and actually, Collin is on that same level. Really, Chris and Collin are my favorite guys. And that’s not to knock anyone else, I’ve worked with lots of mastering engineers, and they’ve done great work, Chris and Collin are just the guys that I connect with the best. Phil: You know, this interview was brought to us, or brought together by Collin, and he does have his automated mastering thing, so I think it is important to reiterate that the purpose of the automated mastering thing is not to kick the mastering engineer to the curb. Phil: Not in any way, shape, or form, no. Matt: So how are you using Aria to — like, what is that providing for your clients when you use it? Because you do use it fairly regularly. I know this from insider information. Phil: No, I use it all the time, actually. It’s — It’s a great tool for someone to be able to kind of get a sense of whether it’s going to be — what it’s going to become once it leaves the mixing stage. Matt: For me, it’s sort of a safety net thing, because right before I started doing the beta side of Aria, because I was involved right before it was out — I think you were too, actually — I was working on a record, and I did the mix, and I created my own reference master, which is something that I have been doing for years and years, and I sent him the reference master, and I didn’t get any notes back, and then three days later, it was out on iTunes. So for me, it’s sort of a safety net, where it’s like, you know, if the mastering engineer that gets hired is maybe not really a great mastering engineer, or for whatever reason has a bad day, there’s a version that sounds good. That sounds really good. If what I send happens to be something that, surprise, is getting released, I know it’s really good. Better than what I would do on my own. And this configuration between my version and his processing, and the end product becomes this thing, and I kind of go, “Okay, well, he’s got his momma’s eyes, but it sure shouldn’t have his daddy’s nose,” you know what I mean? That kind of thing. So the headroom that Aria offers is helpful in that regard. He does the same thing with me. Phil: I still use that too from time to time. Matt: I mean, it works! It’s really good. Cool, well alright man, I really appreciate you taking the time. Great interview, and I hope to catch up again pretty soon. Phil: Thanks for having me! Matt: Yeah, alright. Signing off guys. Until next time. Can You Master Your Own Mixes?